Prime location! This lot is arguably one of the best lots in the Collection, located on a point over looking one of the most prestigious golf courses in Las Vegas. This is a newly designed Christopher Homes masterpiece that boasts 4 bedrooms, 4 1/2 bathrooms with an expansive Great Room, cooks dream kitchen, all located on a huge lot. If you entertain, this is the home for you. Construction hasn't started, there's still time customize the home. Gorgeous guard gated home with $225K in additional custom features! Beautiful courtyard leads to grand entry w/ a magnificent sweeping staircase & wrought iron/wood railing. Travertine, hardwood & upgraded carpet, shutters & custom window covers. Gourmet kitchen w/custom cabinets, island, granite countertops, Kitchen Aid appliances. Pocket doors in family room open to amazing backyard w/patio & fireplace, outdoor kitchen, pool/spa & so much more! Exquisite Davinci Model. Beautiful Upgrades Throughout the House. Dynamic Entry Foyer, Wrought Iron Stair Case, Intimate Courtyard with Fireplace and Sitting Area. 2 Story Guest Quarters/Casita with Full Bath. Gourmet Kitchen with Granite Counter Tops, Custom Cabinetry, Top-of-the-Line Stainless Steel appl. Expanded Master Bedroom with Sitting Area, Fireplace and Balcony that Overlooks the Pool, Golf Course and Mountains. 4 Car Garage. This is it! Absolutely stunning Royal Highlands home. Price includes all furnishings! Truly a turnkey home, just sign on the dotted line and you can be living in luxury. Enter through the guard gate and you're home with all options imaginable. Enjoy your sparking pool, with pebble tec shell, water and fire features as well as your own pergola and fire pit. OPEN HOUSE Sun 4/14, 1:00 to 4:00. Traditional home being sold fully furnished. Attached guest suite (living room, kitchenette & bedroom). 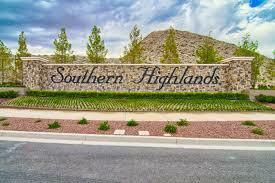 Guard gated community in So Highlands. Nearly 5000 sq ft. The home has a large & upgraded kitchen and an open, spacious family room with wet bar. Upstairs theater, two junior suites & a large master with a seating area & fireplace. Fully finished backyard, with a covered patio, outdoor fireplace, pool & spa. ELEGANT LIVING WITH STYLE! Enter through a large private courtyard.Through the custom wrought iron embellished front door you x2019;ll step into a grand foyer that leads to great room w/ 22 x2019; ceilings.Chefs kitchen has all the finest appointments.Palatial downstairs master suite is complete w/ fireplace & attached living area. Enormous family room upstairs boasts a full bar & expansive balcony overlooking a stunning backyard w/pool, spa & covered patio.